Proper door operation is essential to user satisfaction and safety. ESR has a number of solutions available to ensure that your elevator doors operate safely, reliably, and smoothly. We offer the latest and greatest in technology and performance from cost effective door operator and safety edge upgrades to full equipment replacement complete with door panels, headers, tracks, hangers and related equipment. All equipment is nonproprietary with parts and support readily available. 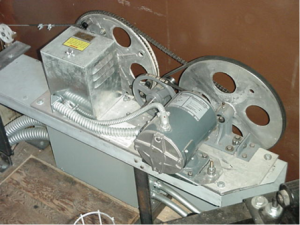 Contact us to assist you install, replace, or repair elevator door operating equipment.